John has been in association with Ray Quinney & Nebeker since 1968. Much of that time has involved providing services to First Security Bank and later Wells Fargo Bank after their merger. That work has involved reviewing loans, leases and other financial transactions. The past 15 years has been devoted almost exclusively to leveraged equipment leases for Wells Fargo as trustee. John has a conflict resolution certificate and has acted as a mediator. 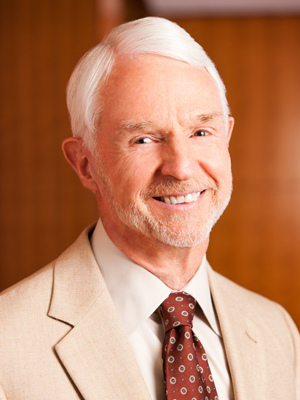 He is a past member of The University of Utah Board of Trustees and the University Hospital board. He maintains an AV Preeminent (5.0) rating with Martindale-Hubbell, which is the highest rating awarded to attorneys for professional competence and ethics.